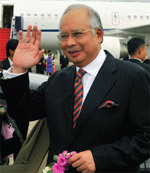 Malaysian prime minister Najib Abdul Razak has unveiled a new economic blueprint as part of his long-term strategy to transform Malaysia from a middle-income to a high-income country by 2020. The ambitious plan, known as the New Economic Model (NEM), outlines a number of new policy recommendations to promote private investment, raise productivity, improve education and balance growth in order to lift the per-capita average income from $7,000 to $15,000 in the next 10 years. Malaysia's GDP growth averaged more than 9% throughout the late 1980s and most of the 1990s as the country built a reputation as an international manufacturing base. The Asian financial crisis of the late 1990s hit the economy hard, though, and the country has struggled to regain its rapid growth rate. 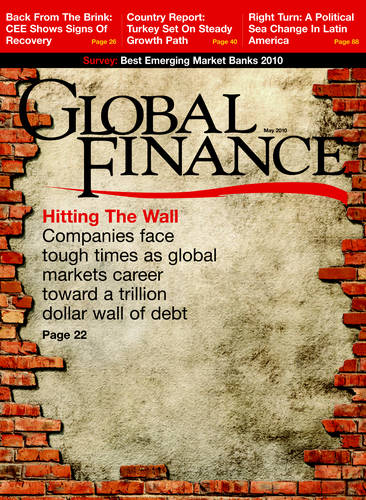 Investment remains weak, accounting for only 20% of GDP just before the 2008 global financial crisis, compared with 40% of GDP in the mid-1990s. Furthermore, much of the recent investment is state-led rather than private. According to the National Economic Advisory Council, the committee that put together the government's new plan, private investment as a fraction of GDP declined to less than one-third of its pre-1997 peak in the decade following the Asian crisis. The NEM seeks to reverse this trend by reducing the government's direct influence and stimulating private investment. Toward that end, the plan offers several possible measures, including support for small and medium-size enterprises (SMEs), increased regulatory transparency and privatization of government-owned companies. In his speech, Razak announced plans to publicly list two subsidiaries of state-owned gas and oil company Petronas and to divest a 32% controlling ownership stake in postal service company Pos Malaysia. One of the most controversial of the plan's recommendations concerns the country's affirmative action policy, which offers preferential treatment to ethnic Malays in areas such as housing, university admission and the awarding of government contracts. The NEM recommends that the government provide such benefits according to income level rather than ethnicity. While many trade groups welcomed the change in policy, the reforms may be difficult to sell to Razak's political party members, most of whom are ethnic Malays.